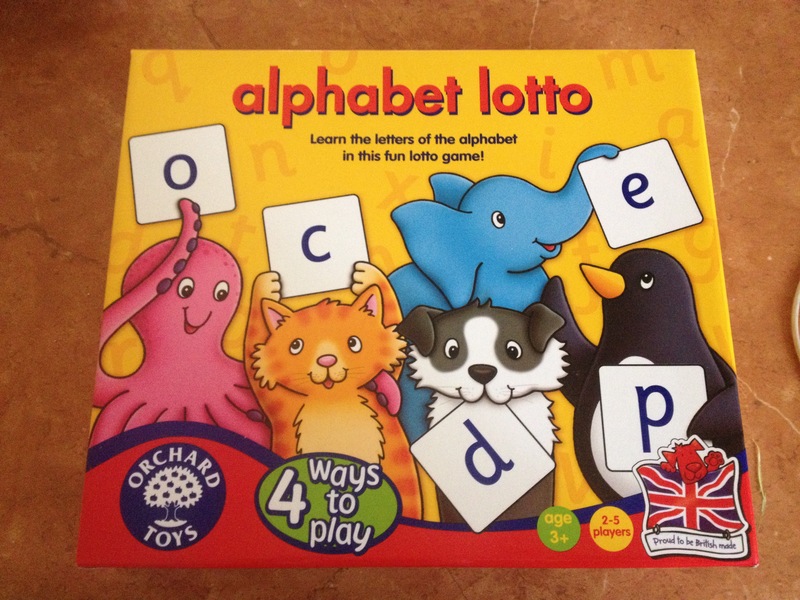 My 39 month old used this alphabet lotto game today to match pictures with their letter sounds. 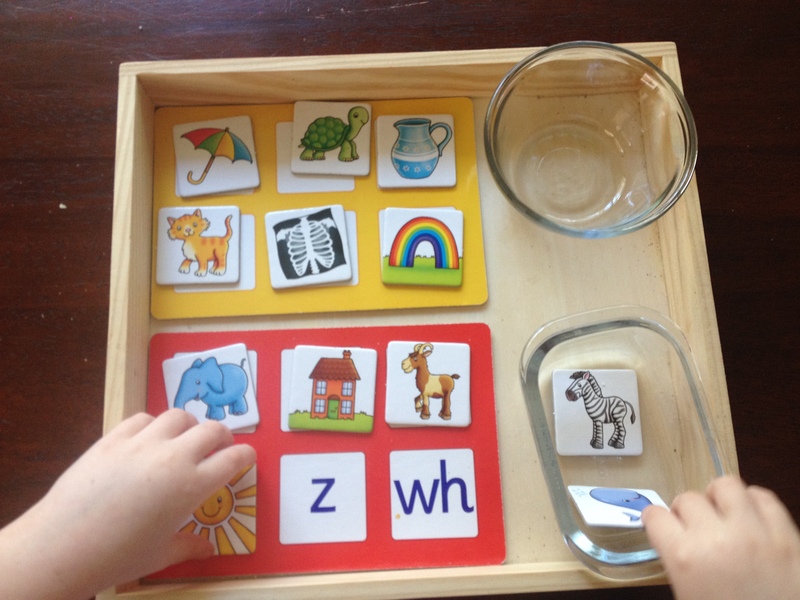 She does already know all her alphabet sounds and some digraphs such as (wh, th and ch) that you can see in the image below so she did not find this too difficult. 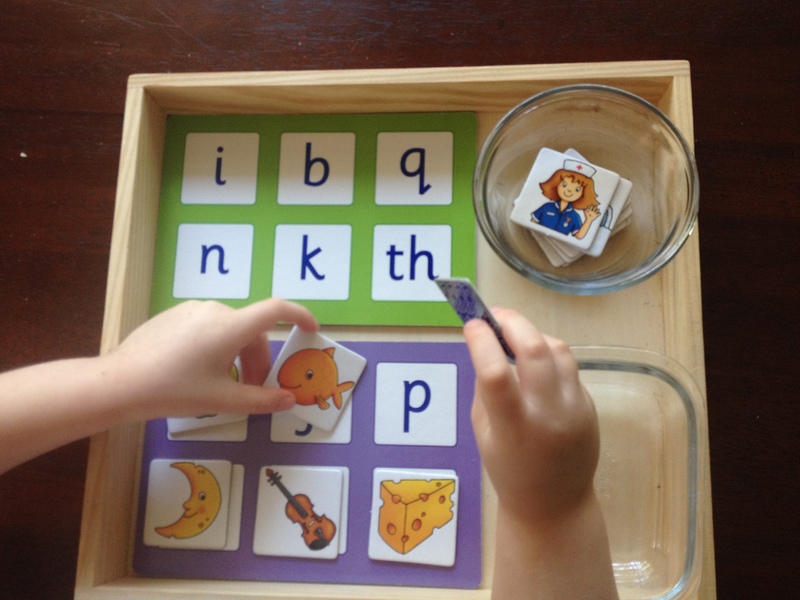 There is the option to use the alphabet letter cards to their matching letters on the board instead of using the pictures. 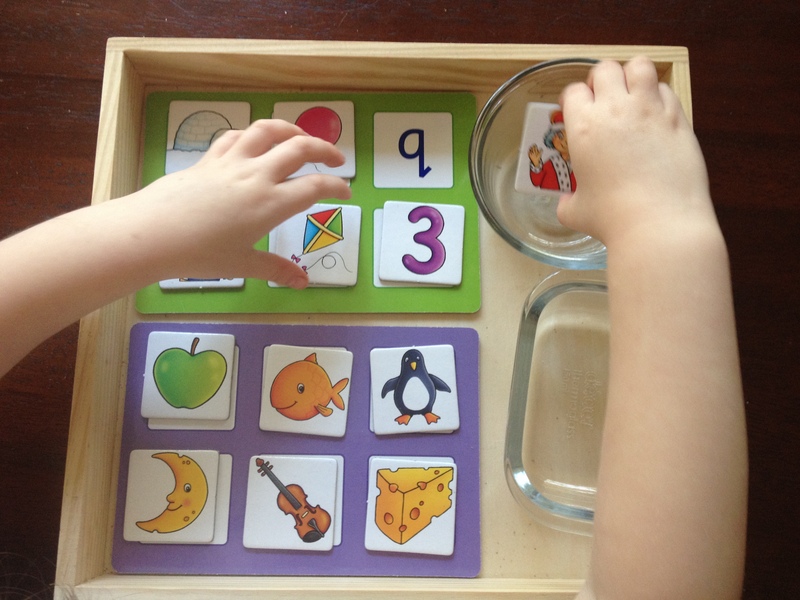 There are five boards to use in total. This is a game that has been used over and over again.